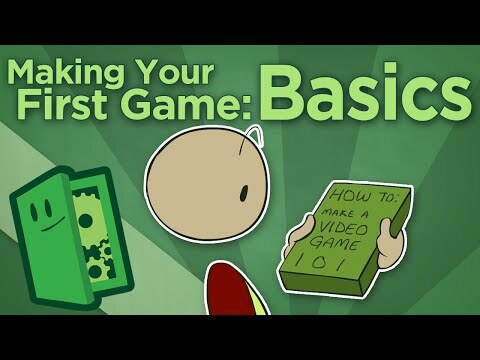 The first in a series of four videos on how to get started making your first game. Whether you're looking for a game industry career or simply curious about the way game developers think, Extra Credits makes video game design approachable by exploring concepts like gamification, perfect imbalance, the skinner box, the uncanny valley, and more. Sometimes we also like to recommend a few games you might not have tried! Join us on Extra Credits every Wednesday as we take a deeper look at games: how they are made, what they mean, and how we can make them better.